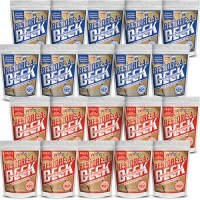 For the ultimate in savings, this package contains 10 containers of step-1 and 10 containers of step-2. 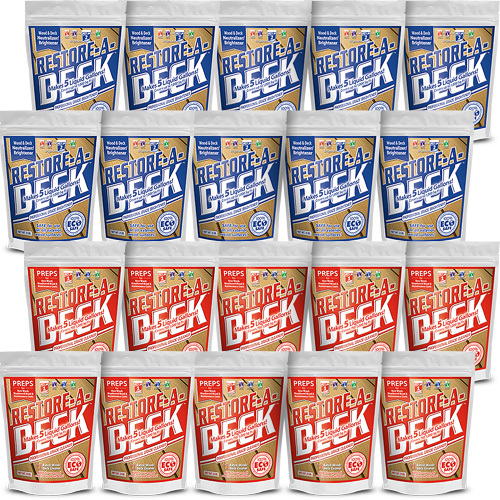 You can treat up to 6,400 square feet of wood. Your cost for cleaning and brightening is 2 cents per s/f! This is not a stripper but a cleaner and brightener kit. 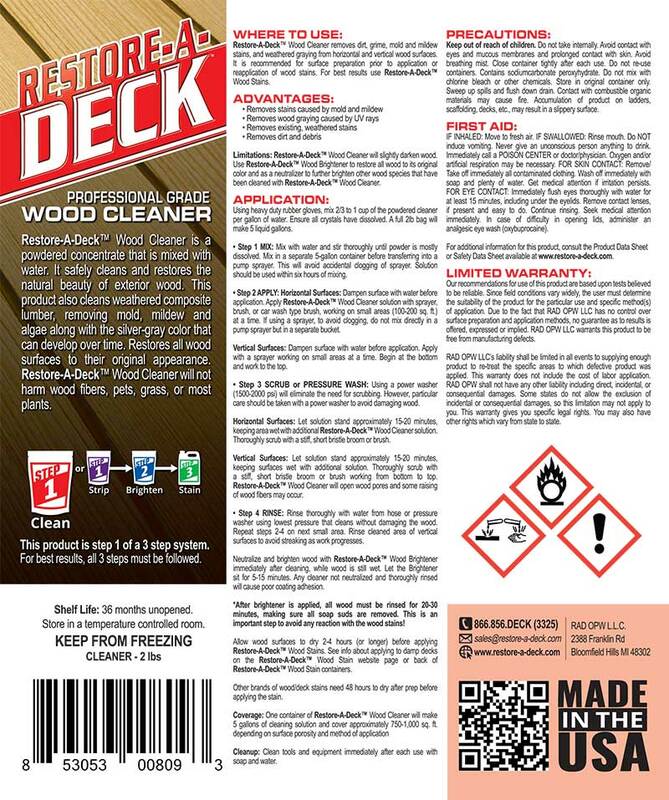 Use Restore-A-Deck Stripper ([url]http://www.opwdecks.com/restore-a-deck-stain-stripper.htm[/url]) for remove an existing transparent or semi-transparent stain. 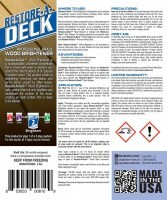 Can I use this to strip an exisiting sealer or stain? No you cannot put a sealer over a solid/opaque stain. 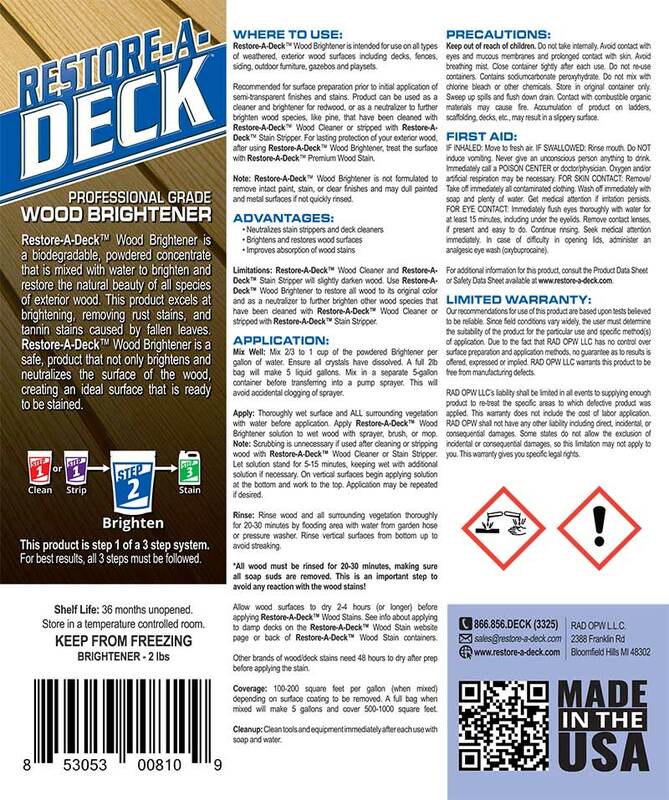 Can sealer be put over opaque stain on a deck? 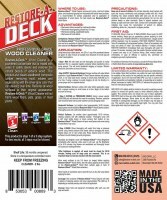 I'd like to make the deck easier to clean, i.e., just spray off with jet of water from my hose.